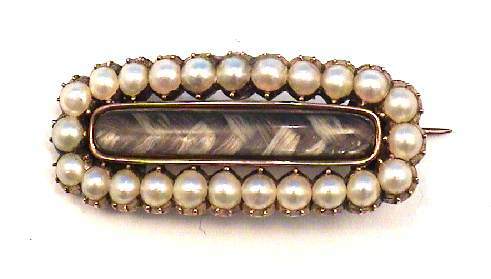 1820ca Georgian Hair and Pearl Brooch – Chancery Lane Antiques and Appraisals, Inc.
Beautiful Georgian memorial brooch of braided hair surrounded by pearls. 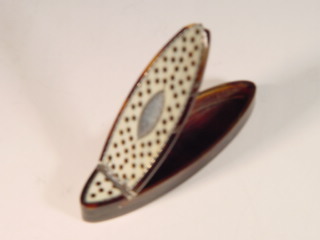 Brooch measures 1″ wide and has a “c” catch. 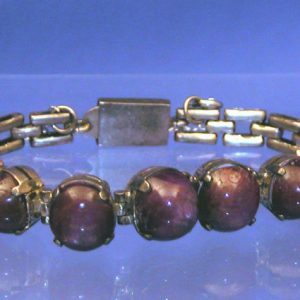 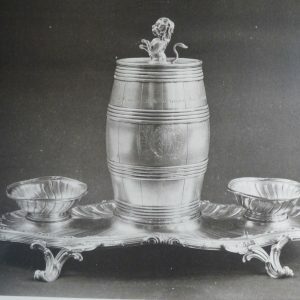 $360 This is another fine antique offered by Chancery Lane Antiques, Inc.